I need to record my conversations in a MP3 or wave frmat instead of a mulaw file as my systems seems to record. Can anyone please tell me how this is accomplished? The BPX writes the files in ulaw format because that is the least CPU intensive option. 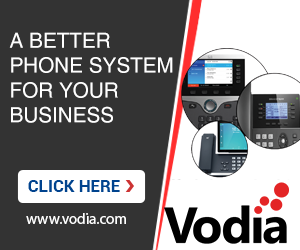 Once the file was written to the file system, the PBX does not need it any more and other applications can use it. There are a lot of audio tools available that can convert audio formats (e.g. http://www.goldwave.com). If you run them periodically, you can convert the audio formats "offline". I am not the big expert on how to run a problem periodically in Windows, but I have witnessed it is possible and maybe someone else on the forum can help out on how to do this. Do the ulaw files sound okay when you play them back? Hmm... MP3 is a format that was designed for music. Maybe you can compress the audio into a different format? There are a lot of speech codecs available (e.g. GSM, G729, G726 and maybe iLBC). Or maybe it is just because the MP3 parameters don't fit well. For example, don't try to use stereo, and make sure that you have enough bits/s for the result. Maybe try with a 64 kbit/s compression and then go down.